Forget your email password? No worries! 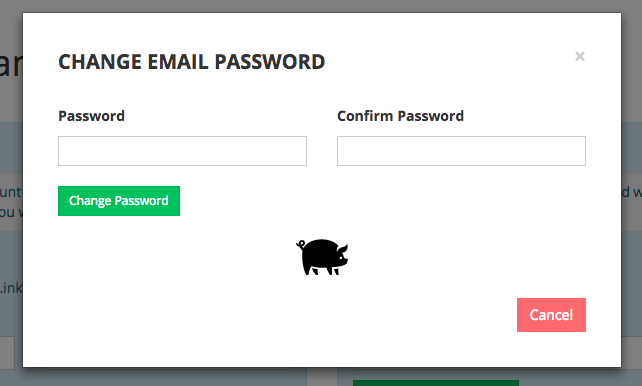 If you would like to reset your Porkbun hosted webmail password, you can do so using the following steps. Click the email icon next to the domain that hosts your email account. On the Email Forwarding and Hosting screen, find and select the blue "head and shoulders" icon next to the globe icon, to the right of your hosted email address. A "Change Email Password" screen should appear. From here, you can enter your new password. Re-enter the password, and hit the green "Change Password" button to submit. That's it! You can now go to the webmail portal and log in.